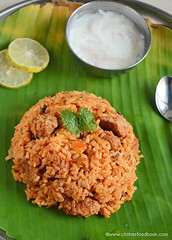 Rava upma (suji ka upma) is one of the most popular South Indian breakfast/dinner recipes. It’s a bachelor friendly dish as it is fast to cook and easy to make. 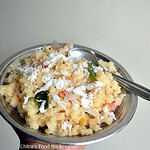 I am not a big fan of rava recipes but Sendhil loves anything made with rava/semolina.He likes rava upma if its fluffy( uthir uthiraa) whereas I love it with small lumps here and there (Undaium urulaiumaa).The consistency of this upma is completely dependent on the quantity of water.Before marriage,my mom makes rava upma only in weekends.My dad & sis enjoy it adding grated coconut. I hate that combo. So my mom makes dosa especially for me by reserving some batter,how sweet. Now I crave for my mom’s rava upma and coconut combo. 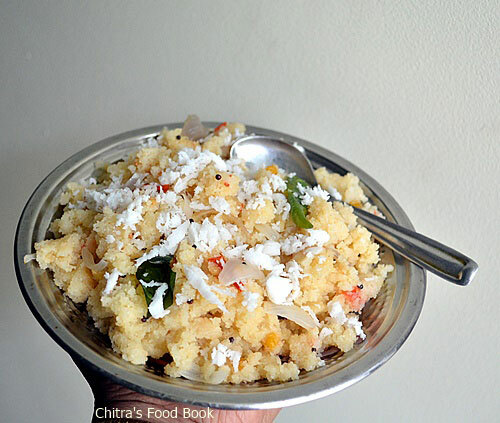 So this time I added some grated coconut in my upma plate and enjoyed a lot.After marriage tables turned .I am making rava upma or kichadi at least once in a week for Sendhil’s breakfast as it is his most favorite. My MIL makes different types of upma and she is a pro in making rava upma. 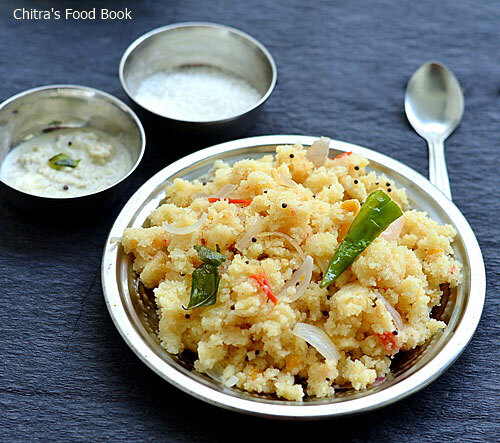 When I was new to cooking,I struggled a lot to get soft & flavourful upma. Usually i don’t roast rava properly and the end result would be a sticky, hard upma. I have even tried with store bought roasted rava.But it was also a super flop show.Then Sendhil taught me how to roast rava properly,quantity of oil,water etc.When he was a bachelor,he used to prepare this rava upma very often and he is an expert too. Now after many successful attempts, i thought of posting the recipe here. 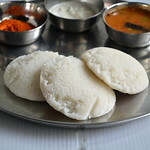 Of course making rava upma is not a big deal for most of u.But for beginners, its always a night mare and most of the time it will be with lumps.This post is purely for beginners and bachelors.We love to have rava upma with sugar, so i don’t make chutney or sambar.It makes my job very simple.This upma stays soft for some hours. So i pack it for my hubby’s breakfast when he leaves to office early from home.But it tastes the best when served hot. U can make rava upma in microwave and add some vegetables like carrot,potato and peas to make it healthy.Sometimes I add tomato too as u see in the above picture.Soon I will share wheat rava upma. 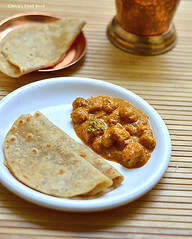 Check out my Rava Kichadi , Khara bath, Masala Rava kichadi ,Rava Dosa recipes too ! 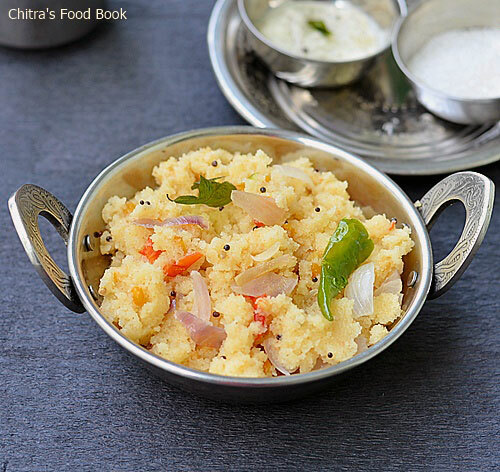 Rava upma/Semolina upma - Easy South Indian breakfast recipe ! Dry roast the rava in a kadai in very low flame for 5-7 minutes without changing the colour. Keep on mixing well to avoid discoloration in certain areas.Remove & keep it in a plate. In the same kadai ,heat oil , splutter mustard seeds , urad & channa dal . After the dals turn golden brown , add the sliced onions ,green chillies, curry leaves & ginger bits. Saute well till onion turns transparent .Add tomato and saute till mushy(Optional step).Finally add the required water , salt. Cover it and allow it to roll boil for 5 mins. Now simmer the flame completely and add the rava in one hand and mix well with a ladle using other hand ( Use a whisk to mix if u have). This step is very important to avoid lumps. Stir till the mixture becomes thick and all the water is absorbed by the rava. Close the kadai with a lid for 5 minutes. Open the lid and mix well and again close it for 2 minutes. Rava will be well cooked , switch off the flame & add the coconut oil.. 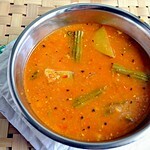 Mix well and serve hot immediately!! 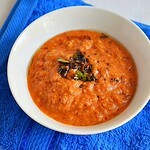 Adding small onions instead of big onions gives a nice flavour & taste. 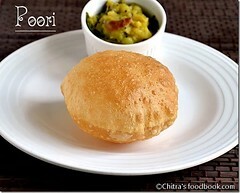 The amount of oil mentioned here should be added to get the softness & flavour. Roasting rava without changing color is very important to get a white colored upma. Otherwise it will be slightly yellow.Upma looks yellow even if you add tomatoes. Please add more water if u want mushy upma. If u r afraid of getting lumps , this step can be followed. ie , switch off the flame after the water starts to roll boil. Remove the kadai , add the rava little by little by stirring in one hand slowly . Mix well and make sure there are no lumps. Then again keep it on the stove and mix well till all the water is absorbed. 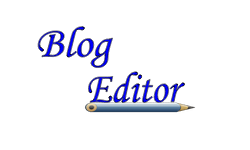 This method can be followed for making sweet kesari too. 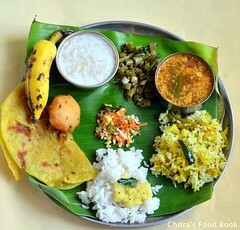 Enjoy this easy breakfast/dinner recipe with coconut chutney or sugar ! 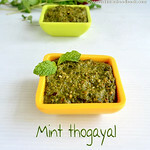 Today I relished it adding grated coconut.It was yum ! Upma is my all time fav among breakfast.Will have any time a day.Yumm upma. Rava upma is my husband all time fav! i do it in other way :) i.e roasted the rava than add the water ! All time favorite breakfast !!! 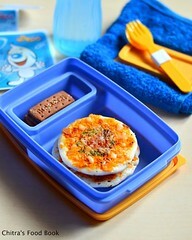 Quick and yummy breakfast,love the presentation. I make more often delicious. Quick and easy, looks yum too. Upma looks good and dlicious...love it!!! look really delicious! Have a great day! so tempting and so delicious!!! a perfect way to start the day!!! My all time favourite, love with coconut chutney. Thanks for your recipes.Best rava for upma. Thanks a lot. Glad to know you too from TVL :) Happy that you like my recipes. Thanks again for your sweet words.